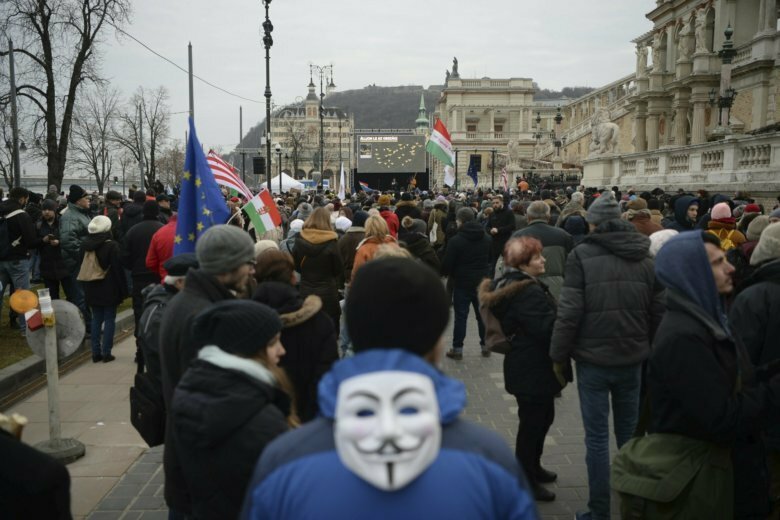 BUDAPEST, Hungary (AP) — Dozens of anti-government protests have taken place in Hungary to protest labor law changes that sharply increased the overtime hours that employers can request from workers. Saturday’s rallies drew mostly hundreds of people to each event. The labor law changes were approved in December by lawmakers from Prime Minister Viktor Orban’s Fidesz party, and also include other measures seen as detrimental to employees. The new legislation is called the “slave law” by government opponents, who also cite government corruption and Orban’s attacks on the press and academic freedom among their reasons for holding the rallies and roadblocks. Government spokesman Istvan Hollik said the labor code changes were just an excuse for the protests, which he called part of the opposition’s campaign ahead of the European Parliament elections in May.